Persons who have faced incarceration and are in the midst of transitioning back into the society, community and family face significant social, emotional and economic challenges. Social service organizations and behavioral health providers have an important role to play in supporting successful transitions. Understanding the landscape of local service delivery and the needs of “returning citizens,” can make or break the effectiveness of programs designed to assist formerly incarcerated persons in this transition. 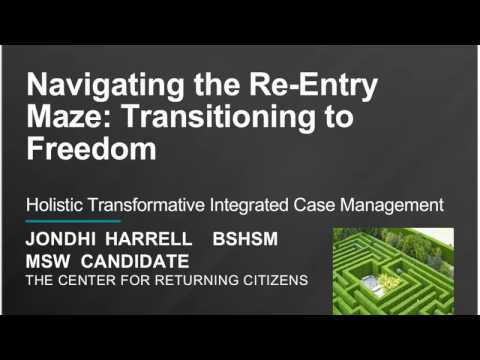 In the City of Philadelphia, The Center for Returning Citizens has had laudable outcomes through applying holistic case management to those they serve. This webinar explores the methods and relationship-building work that TCRC has employed, in the hopes of supporting other groups to replicate their successful strategies.